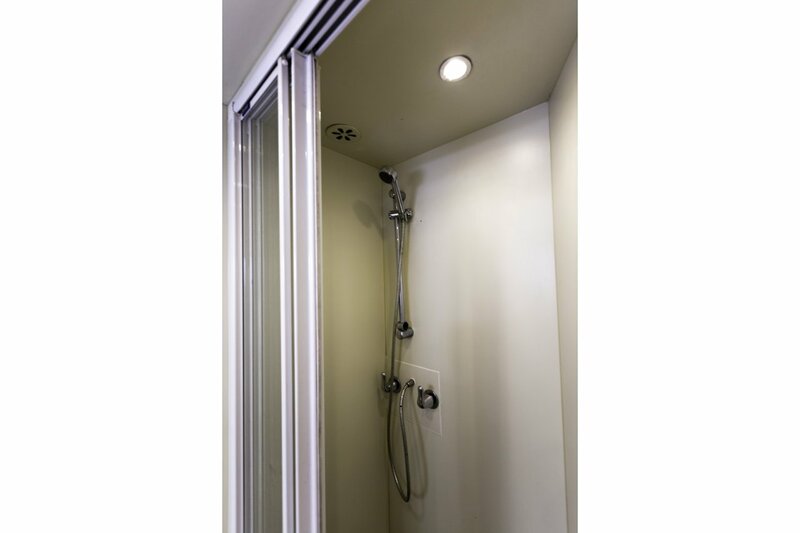 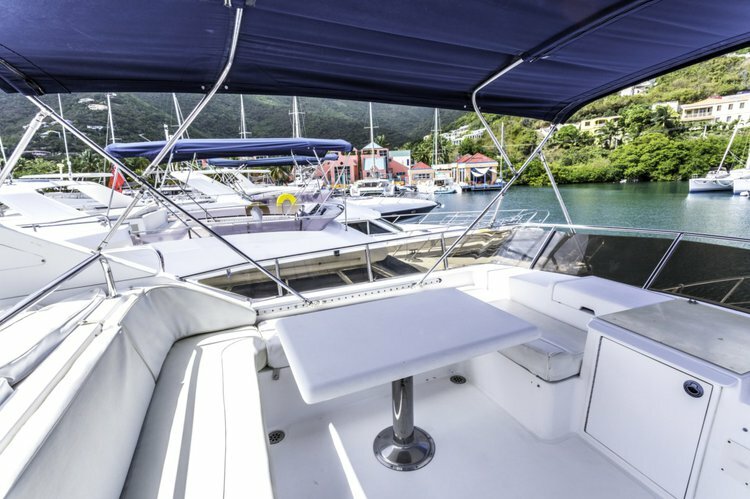 Comfortable, welcoming, and easy to handle- all in one! 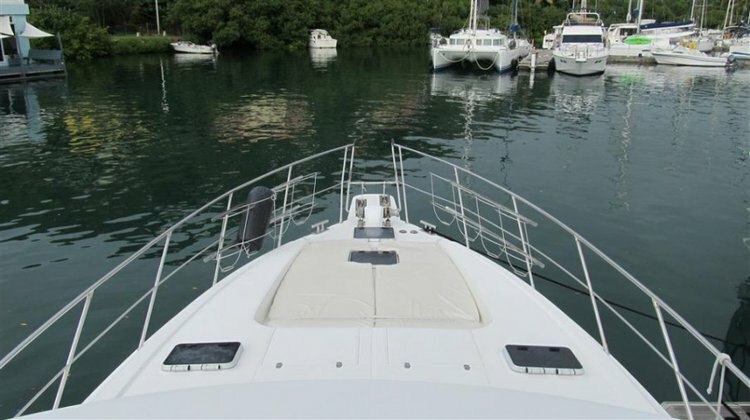 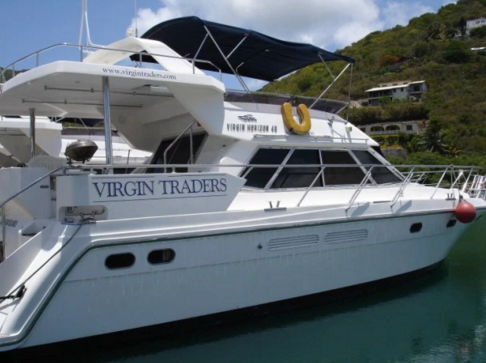 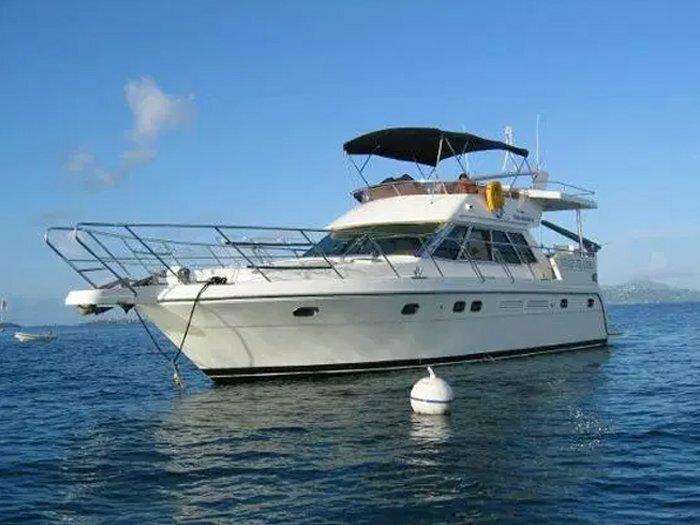 This yacht delivers quality and ease of handling in terrific style! 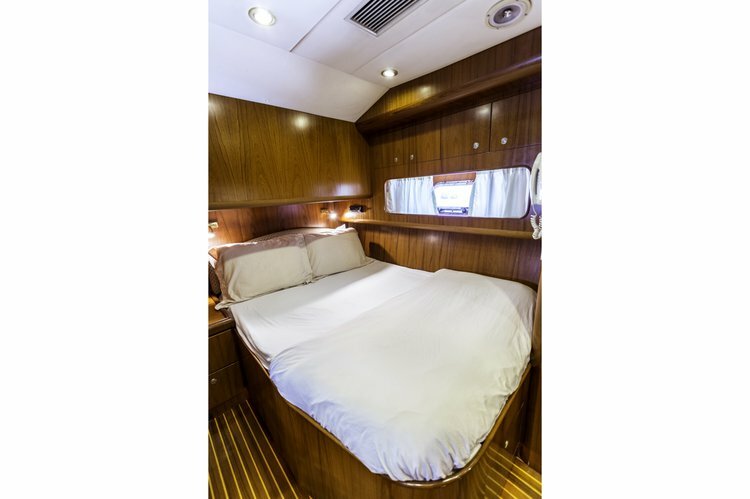 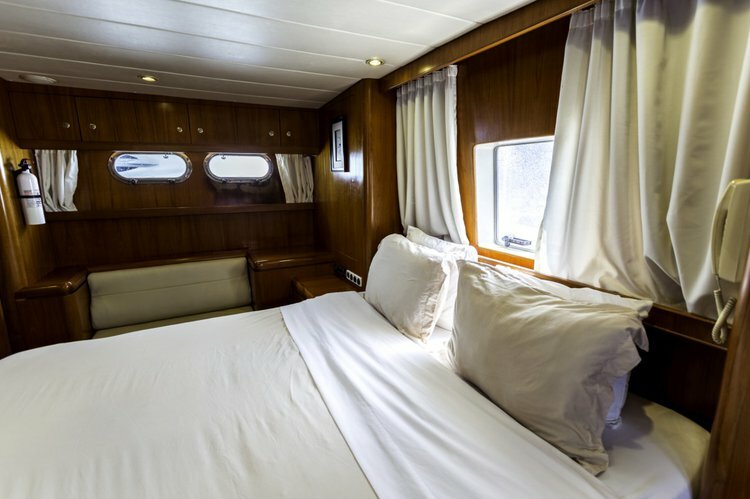 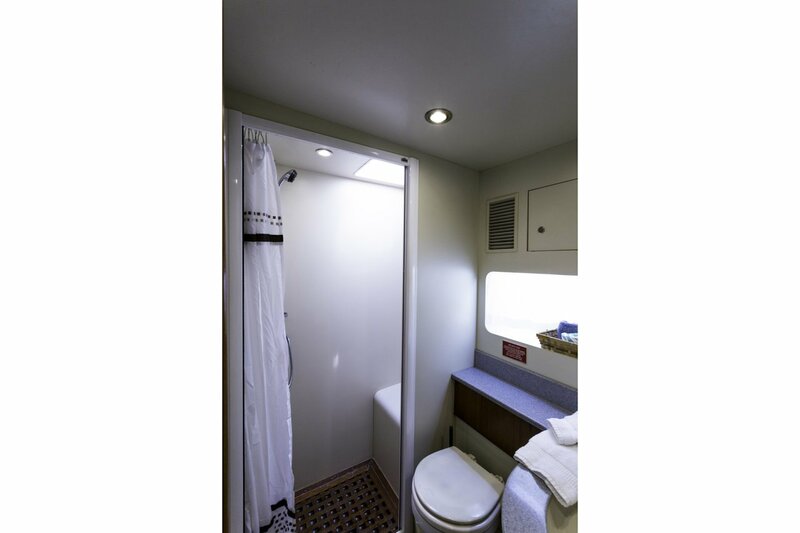 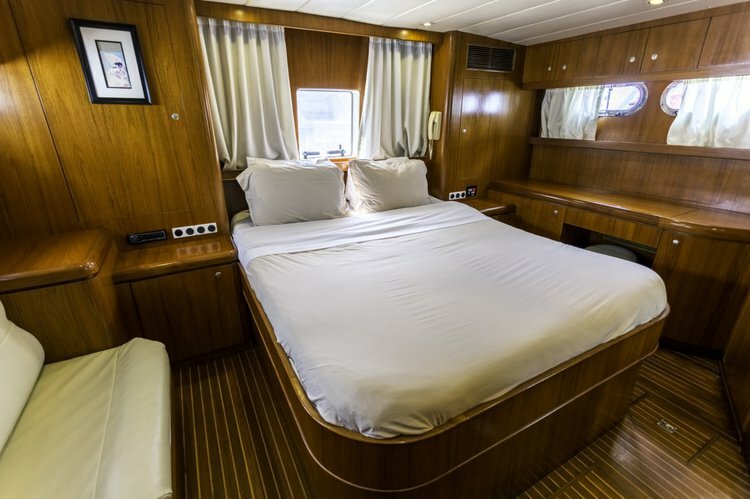 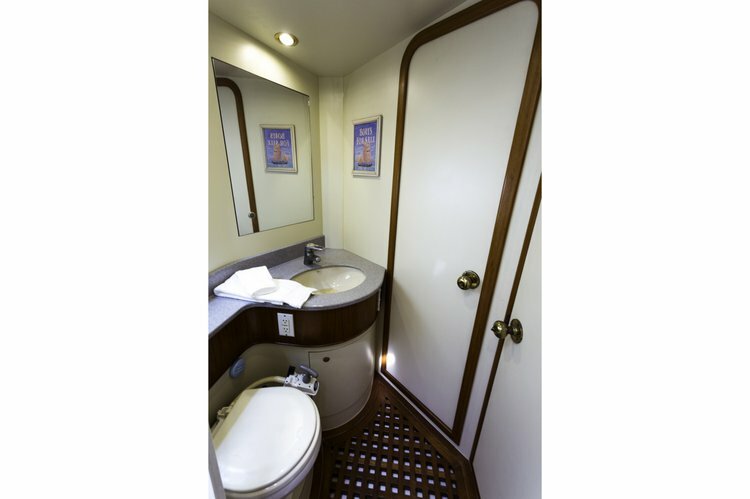 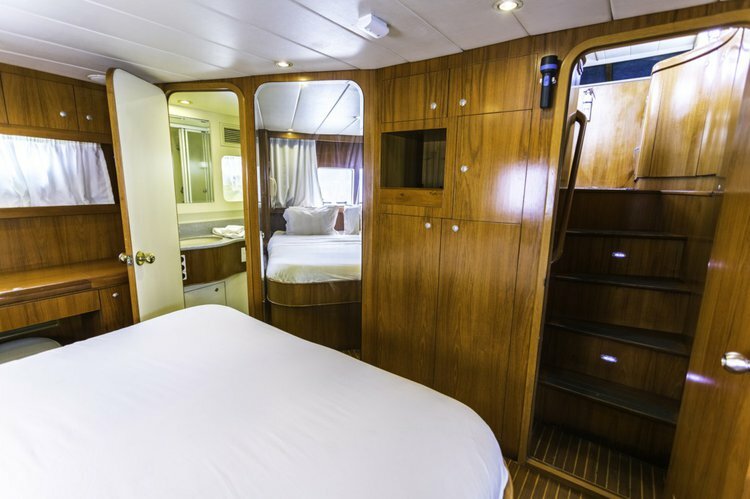 It was designed especially for the needs of the guests and provides exceptional interior and exterior spaces, with 4 cabins to accommodate up to 8 guests. 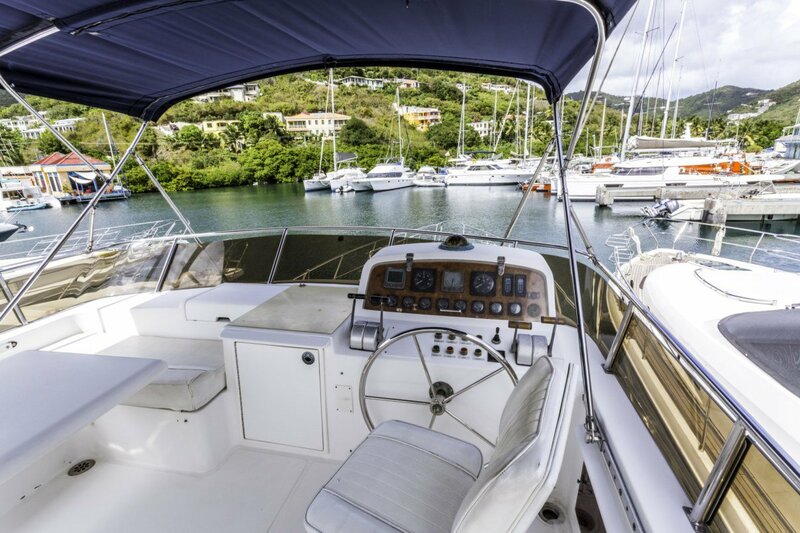 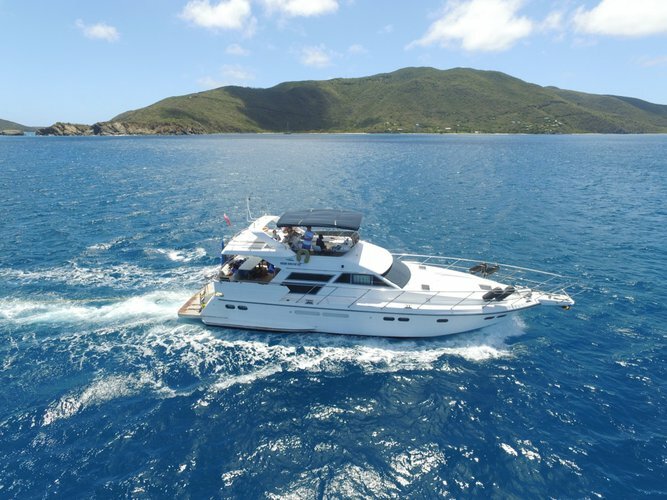 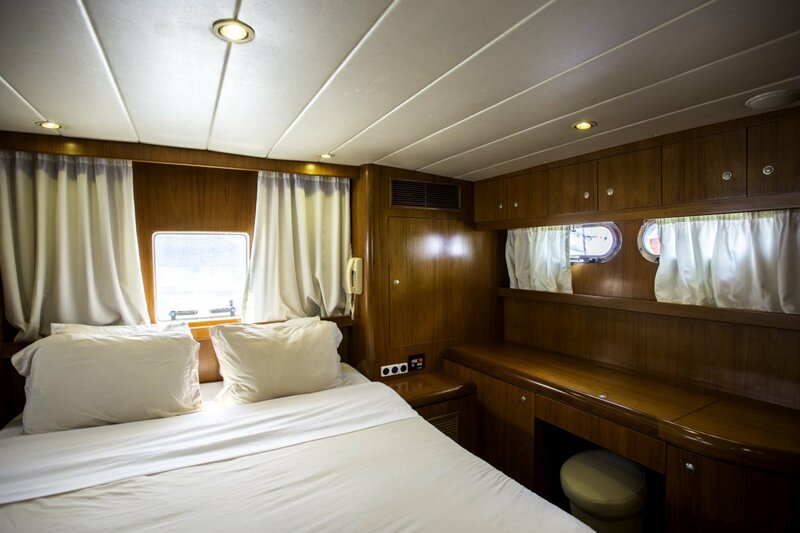 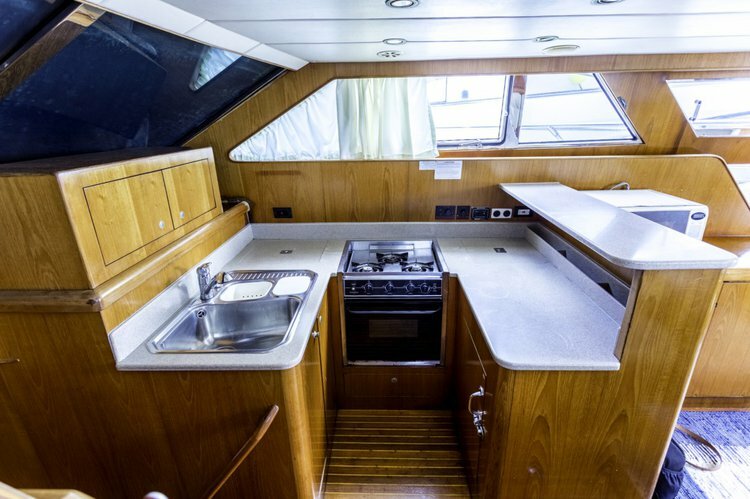 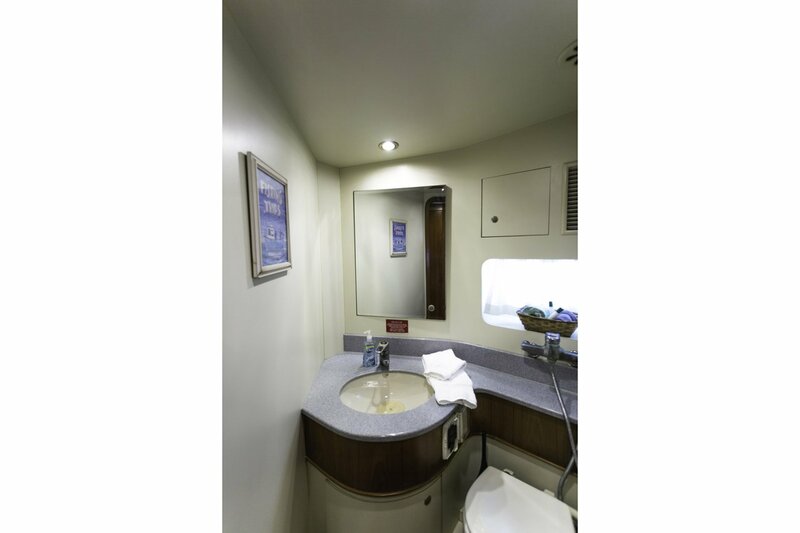 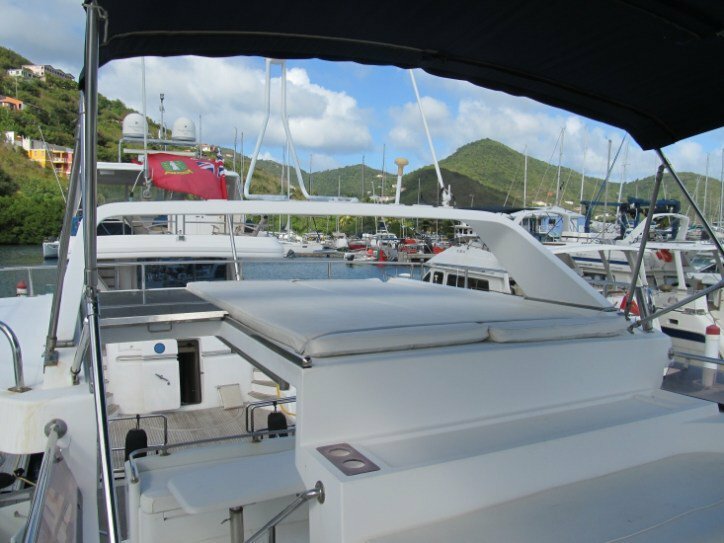 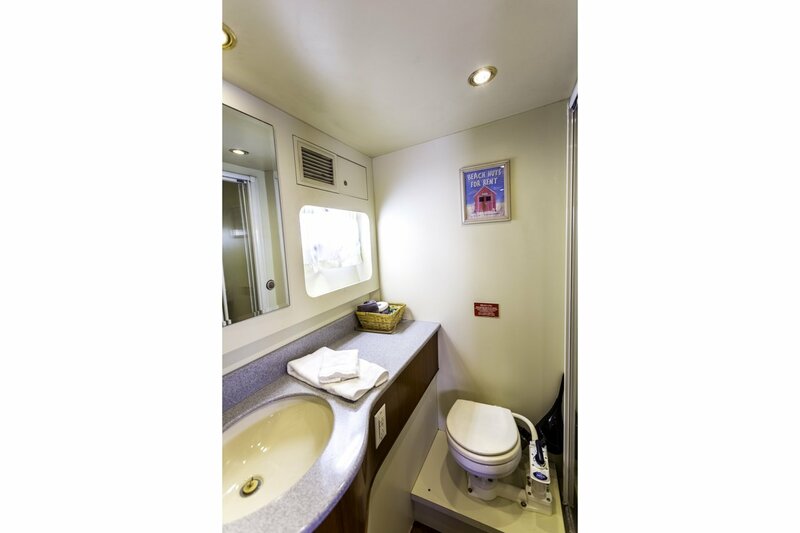 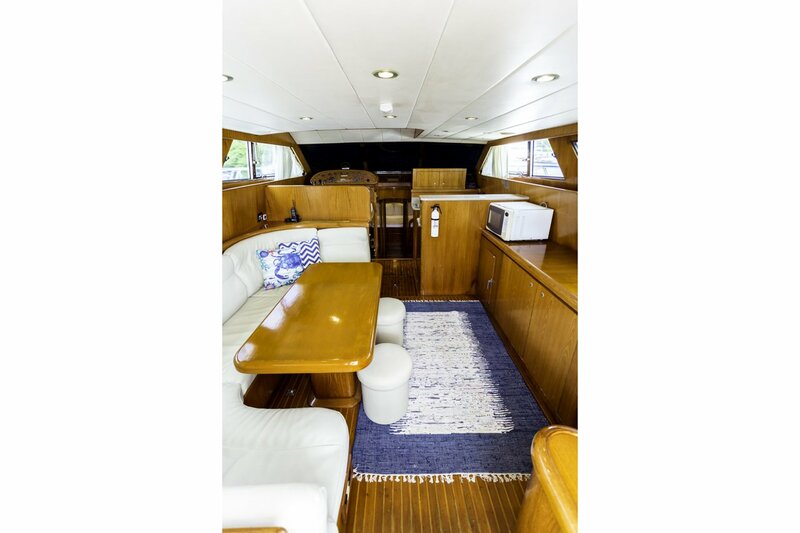 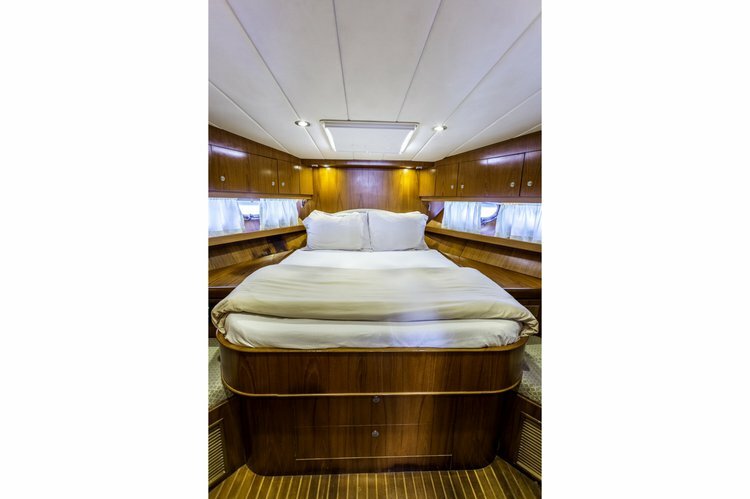 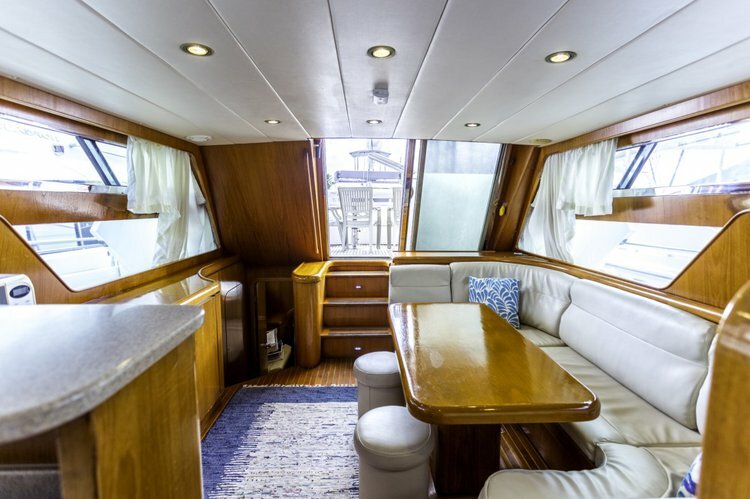 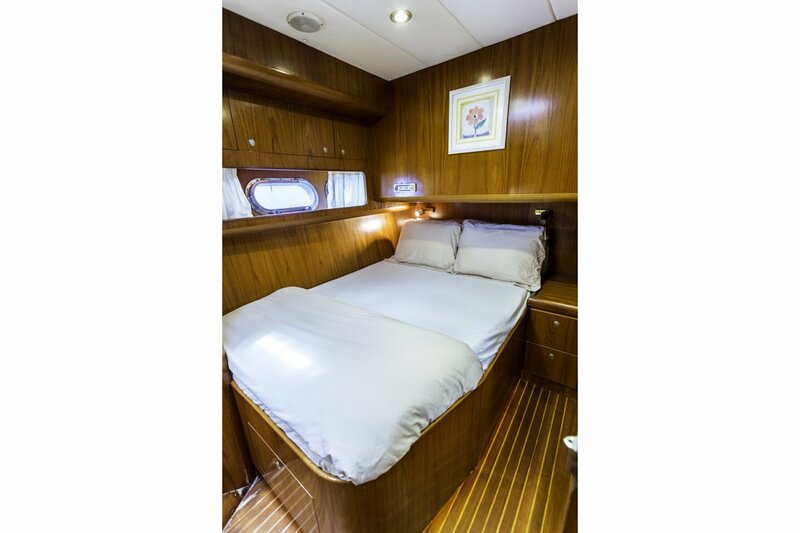 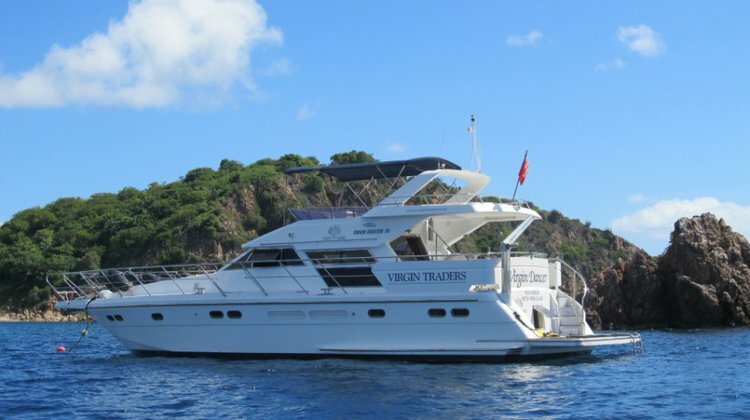 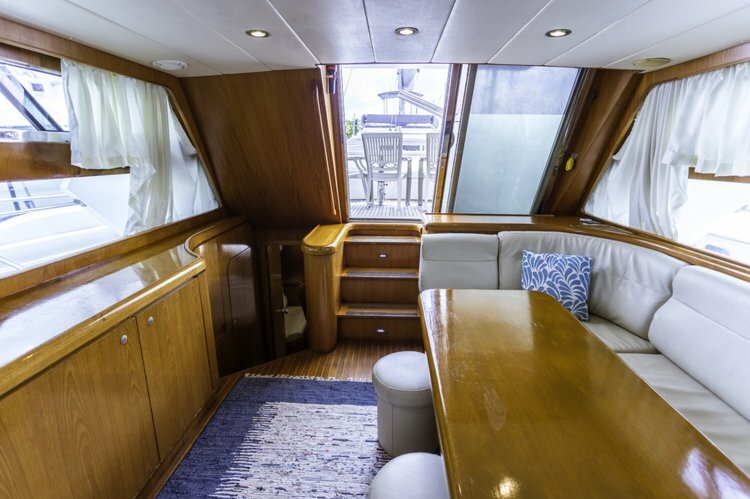 The salon, lower helm position and fully stocked galley are cleverly blended into the same bright and comfortable area with wrap around views to enjoy the gorgeous scenery. 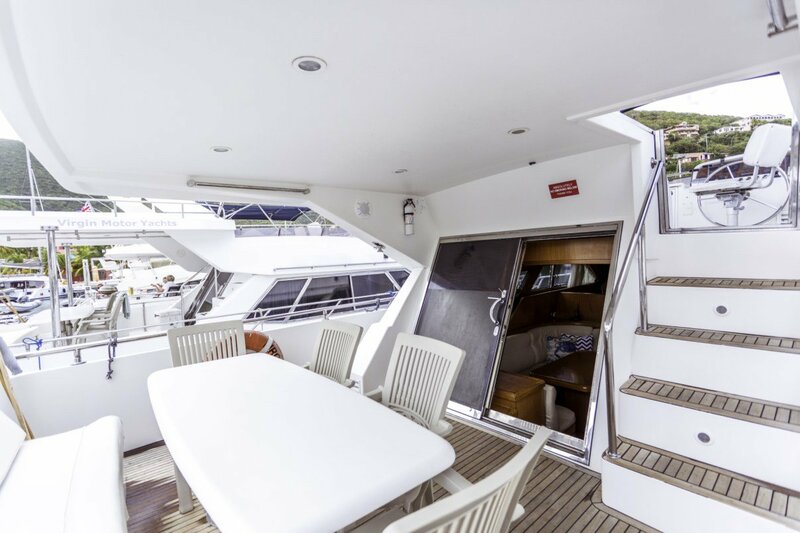 A few steps up, and through large glass slider is the spacious aft deck area for seated outside dining. 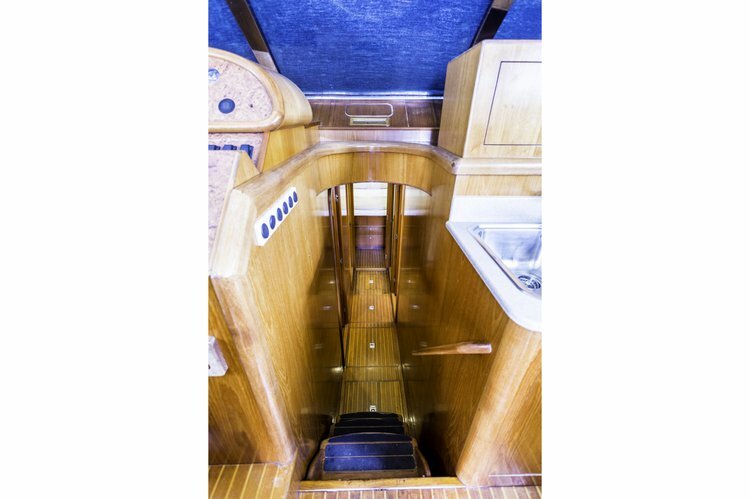 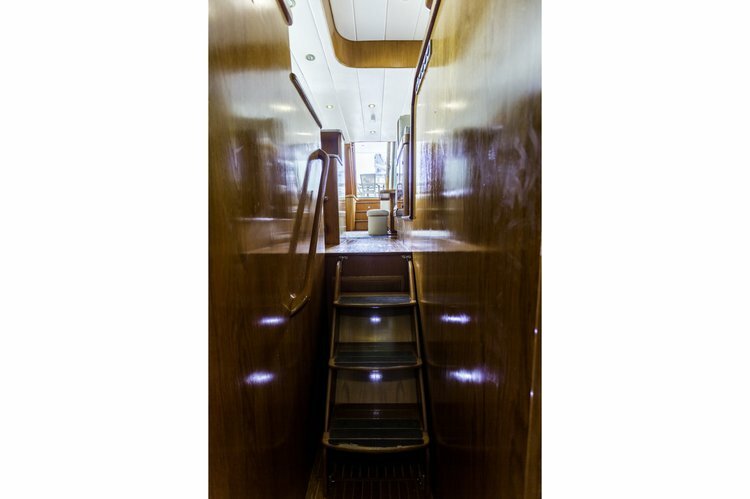 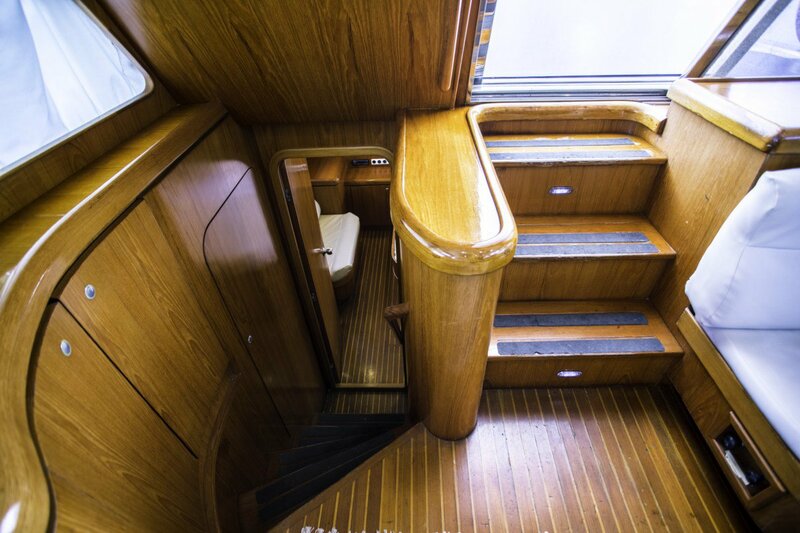 Stairs then lead to the flybridge with dual helm seats which commands views and space making docking and handling the yacht very easy whilst cruising around from Island to Island. 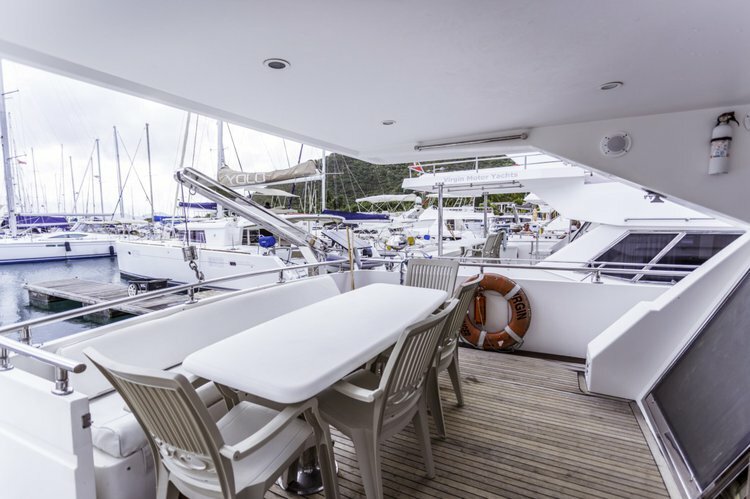 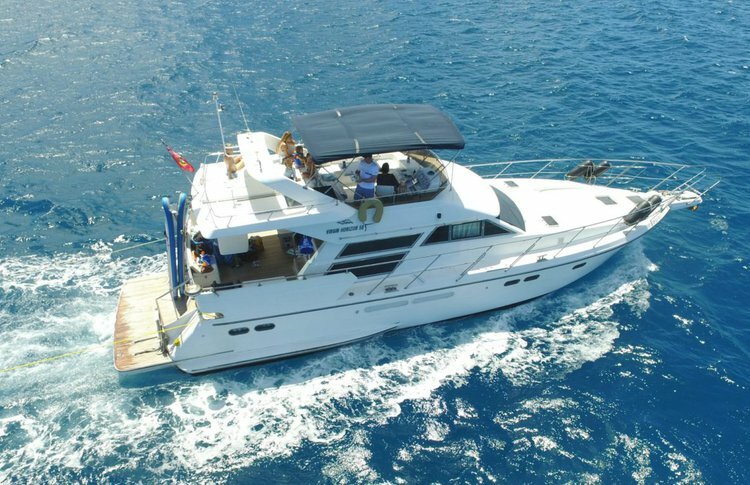 Once at your chosen destination, a full-width swim platform, accessed from the aft deck by a sweeping ‘sea stair’ makes for easy boarding of the dinghy, or going for a swim.